(Reuters) - Greek industrial group Mytilineos will finalize a $400 million investment in its home country next month, which it says will make it Europe’s biggest alumina producer. Despite Greece’s crippling recession between 2008 and 2016, which shrank the economy by a quarter, Mytilineos, whose businesses range from metals production to building power plants, has fared well thanks to overseas expansion and spending hundreds of millions of euros on new equipment to halve production costs. “We hope to start building the new alumina plant ... with an (annual) capacity of 1 million tonnes in 2018,” Chief Executive Officer Evangelos Mytilineos told Reuters in an interview on Thursday. The group already operates an alumina refinery in central Greece with an annual output of 820,000 tonnes. Mytilineos said the company will finalize any investment decision with a view to a 12-member executive committee and the CEO jointly signing off on it at a meeting on Dec. 22. “It will be a landmark investment, making us Europe’s top alumina producer,” he said. Mytilineos raised 300 million euros ($358 million) from a five-year bond in June and its CEO said it will use part of the proceeds, along with available cash, to finance the new production plant. 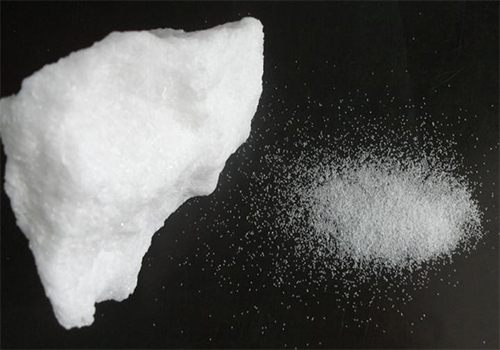 Mytilineos exports all its alumina output. In 2008, it clinched a 10-year contract to sell more than 5 million tonnes of alumina to Swiss-based Glencore in a deal worth about $2 billion. The contract was due to expire this year but the company has extended it to 2025, Mytilineos said. He didn’t provide further details. Aluminum has rallied this year, driven by pollution-related production cuts in China. Global demand for aluminum along with lower costs and merging some of its activities will help Mytilineos meet its financial targets this year. The group has forecast sales of more than 1.5 billion euros and pretax profit of about 200 million euros this year. It reported a net profit of 34.2 million euros last year. The industrial group is also expanding its energy business, and is building power plants in Ghana and Libya among other countries. In Greece it has a 12 percent share of the power wholesale market and a four percent share of the retail market. Under its latest international bailout, Greece agreed to sell 40 percent of its coal-fired capacity owned by its dominant power utility Public Power Corp. (PPC) to cut the utility’s retail market share to below 50 percent by 2020. Athens and the European Union have reached a preliminary deal to sell three coal-fired units and a yet-to-be built one and are expected to sound out investors next month. “I wouldn’t be in a hurry at all about that,” he said. Greece depends on Russian gas to meet increased consumption which reached 4 billion cubic meters (bcm) last year. The country, which had a gas supply crisis last year, may need to step up gas production as some polluting power plants will close down in the coming years. Mytilineos said the group, which is the largest gas consumer for energy among Greek industries and already offers wholesale gas, had the necessary infrastructure to grab such an opportunity. “We are consuming 1.5 bcm a year. It wouldn’t be that difficult to offer an extra 1 bcm in the wholesale market,” he said.